Beer, holograms and history – these are the ingredients that make the Smithwick’s Experience a must-do brewery tour. The multi-sensory and interactive experience takes visitors on a journey through the story of the famous ruby red ale, exploring its place in one of the country's coolest destination cities, Kilkenny. Starting in a candle-lit cavern – it re-creates the atmosphere of the centuries-old St Francis Abbey Brewery that inspired John Smithwick – the tour uses a cool array of technology to illuminate the story of Smithwick’s creamy pints, from right up to the present day. The 300-year-old brewing process is brought to life through installations and plenty of tactile experiences introducing you to the smells, tastes and textures of the raw materials involved in creating the perfect pint of ale. Like any good brewery tour the trip ends with a pint of the good stuff, where you’ll raise a glass to the celebrated Smithwick family. It’s less than a 10-minute walk from Kilkenny Castle. Follow the parade towards Rose Inn Street. Take a left onto High Street and keep straight until it merges with Parliament Street. You’ll find Swithwick’s Experience on your right, just past the Court House. The tour costs about US$15. 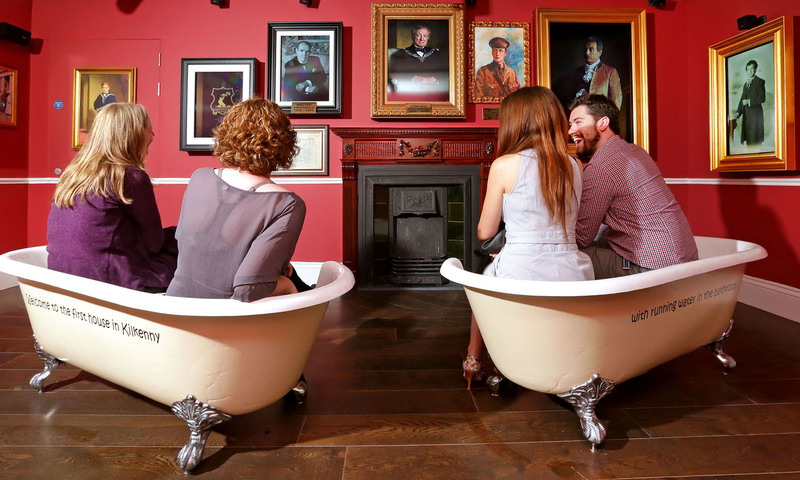 Is this Ireland's coolest museum?